I bought it in a bigger size so that I can use it longer. Will definitely be buyimg this product for my future babies again. This product is well made fleecy lined, it is very warm and keeps the child warm, this cozy tors is well worth the money, I definitely recommend this item to family and friends, I give this item 5 stars. Very cosy, material inside is very soft. It washes very nice came out good as new. I feel it's quite expensive. The product itself is great. 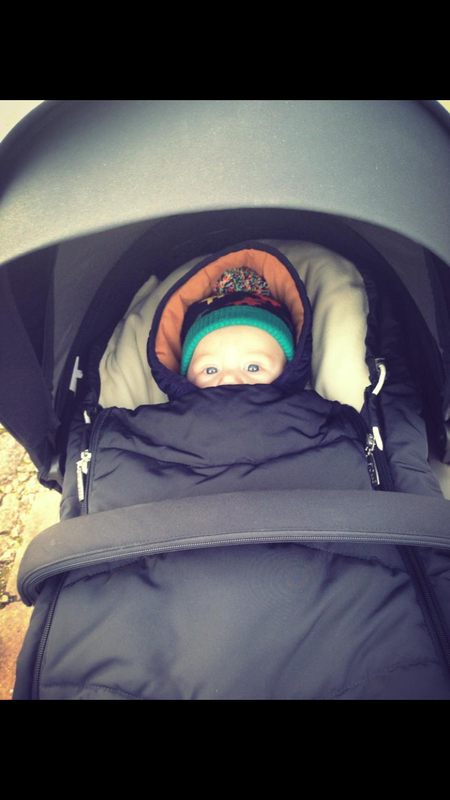 It kept my baby very warm and cosy. It got rather dirty and I had to put it in the washing machine and it washed like a dream. Only negative I would say it it's quite pricey but I would recommend it. I absolutely love this product it's so warm and cosy it fits lovely my pushchair. Its definitely worth money very good for winter time. Easy to use. easy to clean. This is lovely and cozy for baby brilliant for this cold weather as they are snug in this. Its easy to zip up which helps when in a rush as a mum quickness Is key sometimes I love the colour it's universal so can be used got girl or boy can't beet it. So cosy for little one. Loved the seperated leg areas for when my little boy got older. Good size I used it right up until my wee boy was 2. Was great how it would fit in carrycot and could also be used fot pushchair and was able to be fastened in for security through the straps. The footmuff of absolute dreams.. Seriously you would not regret purchasing one of these beauties. Keeping babies nice and toasty I loved the fact it was also hooded which a lot of footmuffs don’t focus on the upper body. The price can seen quite daunting but it really is reflected within the quality and really is worth every penny. The Swedish do it again. Absolutely love this product. Very comfy and soft. It fits in my pushchair perfectly and is easy to take out and put back in. I have received so many compliments on it and it still looks brand new. Definitely recommend this product to everyone! Very good for the cold weather. 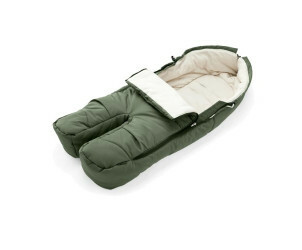 This was a good buy, very cosy, comfy and warm, easy to attach to the pushchair. lasted a long time. I bought it together with the pushchair for my daughter. I used it for three years and it still looks new. I bought the beige colour to match the pushchair and I got a lot of comments with it. I recommend this product greatly and yes I would buy it again. Lovely product, easy to use, good value for money. Built to last years. Very sturdy my son loves it! He’s settled, comfy and safe in this product. The straps are easy to clean as is the fabric. I like everything on this footmuff , at first the lovely kakhi colour attracted me and then the quality which is very good made and at last my baby seems to love it as it keeps his little feet warm and cosy . This foot muff compliments the Stokke Xplory very well. 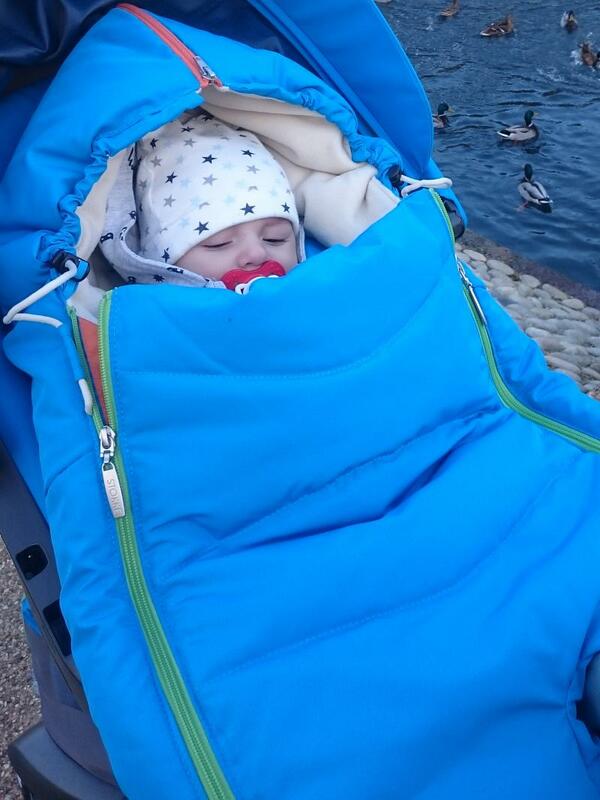 It’s super thick and padded, meaning your baby is kept comfortable even on cold winter strolls. It’s also very easy to keep clean, the outer material is hard wearing and most spills can easily be wiped off or I’ve put the whole muff in my washing machine on a few occasions and it’s come out fine! The zips on the body and legs also go all the way to the bottom, which is handy to take baby out with ease, especially if they’re asleep or if you want to regulate temperature and adjust how much of your baby is covered. The muff also has a hooded top to keep the head warm- although it’s a great idea, it’s rather large and floppy and would fall onto our baby’s face when she was really small, but we would simply not zip it all the way into the full hooded position. Overall this is a warm and stylish foot muff that I wouldn’t be without on my Xplory! I am so happy to have it! And my baby is happy too! It’s soft and warm and its the best thing i bought for my baby for this winter! Very good material. Easy to use. Easy to clean. Inside very soft warm. We go to holiday were winter time is very cold and windy, I'm not worry about my baby. This kept our 2nd child so warm! Can look kinda geeky as the Stokke does not look like a run of the mill pushchair but it allowed his legs free movement unlike a standard snuggle. He could still kick pretty good! Cosy, comfortable, practical and warm. I love the design of this footmuff. It is so warm and cosy and comfortable and is perfect for the colder weather. It is also durable and will easily last more than one child. I love this! My baby loves this! I used it for two years with my older son and this year it will be my daughter's first winter in it:) I would not change it for any other footmuff. Its super warm and comfortable. Definitely recommend this product. 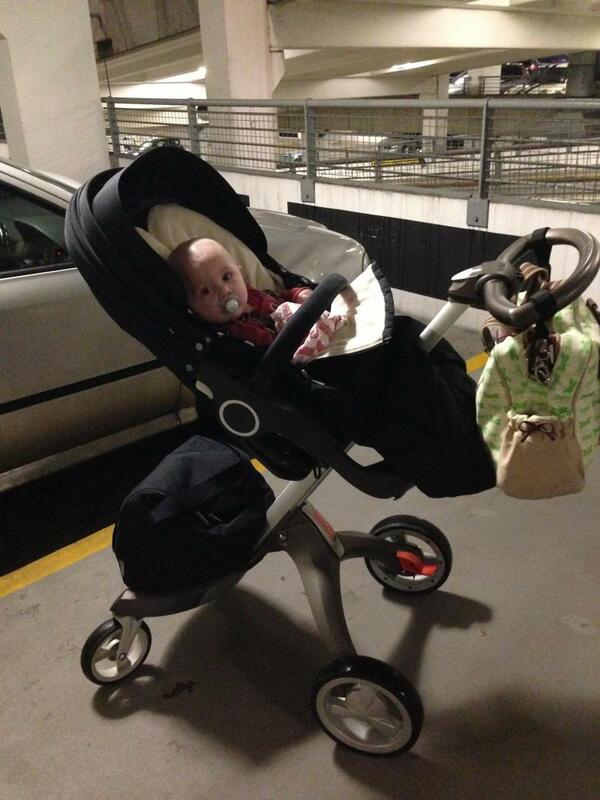 Great footmuff can be used with other pushchairs. Easy to clean and warm and cosy for baby.essential for colder months. the fabric is super soft, very excellent, can wear in various places, the child gets well heated and comfortable. Easy Cleaner. We are extremely happy with this footmuff, even my husband who was a bit sceptical about Stokke products in the beginning he loves the pram and the footmuff too. Very easy to use, keeps your baby very warm and it has a very nice and simple design. One of my friends wanted to try it, so we swapped our prams when we went for a walk. She was amazed how nice and comfy her baby was in there. I wouldn't change it for any other footmuffs. The footmuff is a must in the winter months it makes the pram extra comfy and I feel that my little one is kept warm and snuggly. The design is stylish and practical I would highly recommend it. Cream colour fabric inside, have to remove shoes so doesn't get dirty. 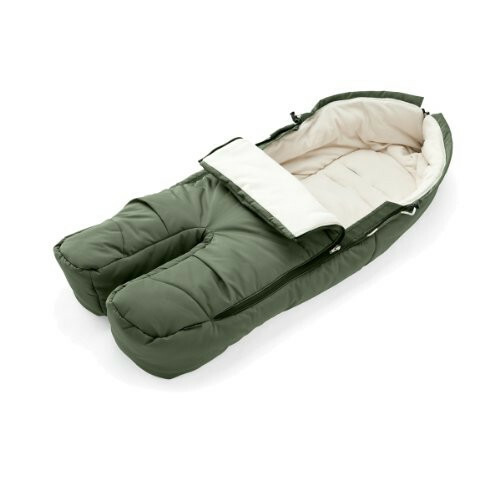 The Stokke foot muff is very thick which makes it so warm and cosy. Sometimes I would love to climb into it myself! It is easy to put child into because of the 2 zips on either side and there are various strap holes to allow for harness adjustment as child grows. 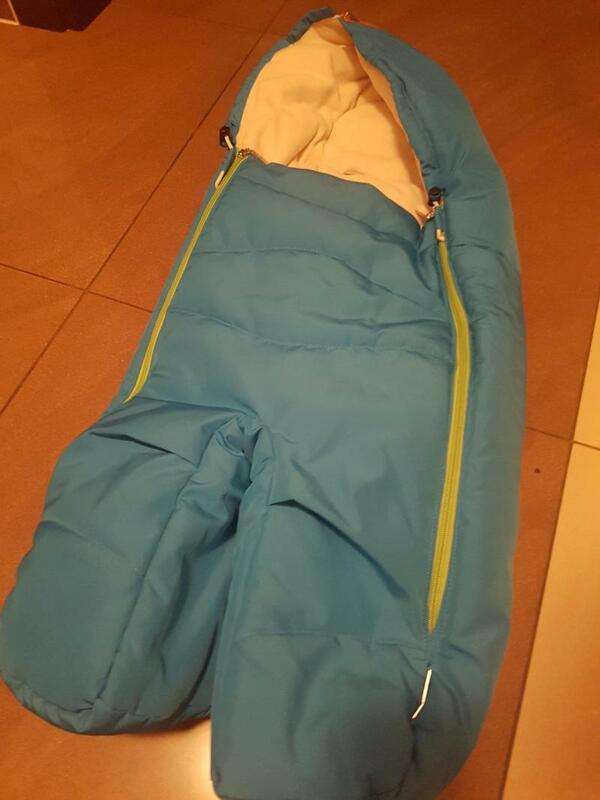 Great so warm expensive but brilliant can fit any stroller and last from birth up to toddler years it is also available in many colours my little boy love it and also me I think it is the best one on the market. Long zippers make it easy for you to open the Foot Muff and place your child in or out. Keeps your child warm in unexpected winds, and allows fresh air to circulate in warmer weather. Safety openings allow the Foot Muff to fasten securely to the Stokke Xplory Seat. 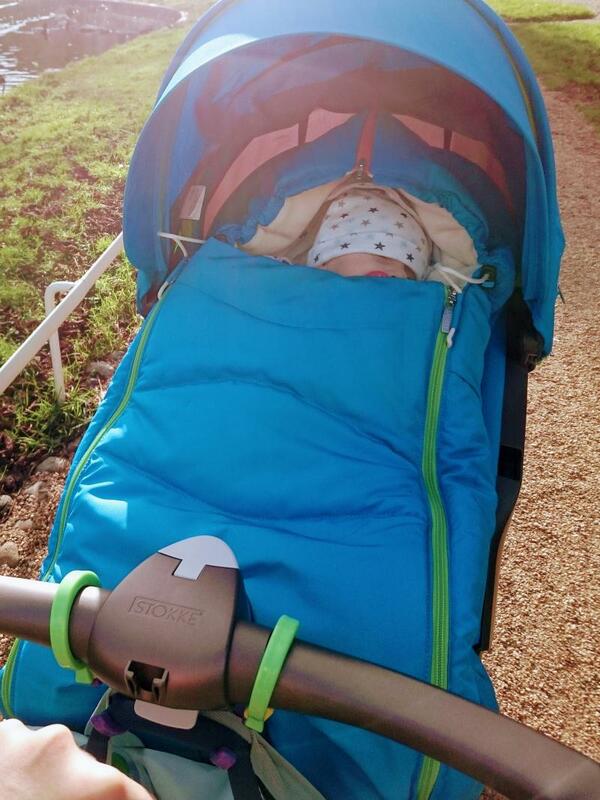 Provides additional safety for your child in the Stokke Xplory stroller.